Last week, a study from Georgetown University Health Policy Institute challenged that. The study found that for the first time in nearly a decade, the number of uninsured children in the United States is increasing. Even more concerning, Texas now leads the nation with the largest percentage of children without medical health coverage. This is an unacceptable and alarming trend, and I know we are better than this study would have us believe. 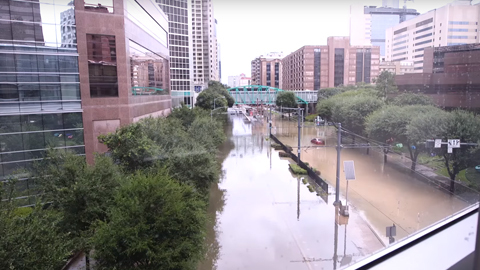 We are the state that took the first man to the moon, the state leading our country into energy independence, the community that rallied its resources and demonstrated to the world what courage and humanity mean after Hurricane Harvey. We are home to an impressive number of Nobel laureates. Yet, we struggle with insuring all children with health coverage. We can and must do better. In a state with so many resources, a strong economy and so many health coverage options available, families should not be uninsured. Children should not have to rely on a patchwork of emergency services to bridge them from one illness or injury to the next. Medicaid and the Children’s Health Insurance Program (CHIP) provide essential health care to children of working families. And I’m proud that at Texas Children’s, we were so committed to increasing access and coverage for children that we created Texas Children’s Health Plan more than 20 years ago. That commitment is even stronger today. We now cover more than 440,000 children across Texas enrolled in Medicaid and CHIP. 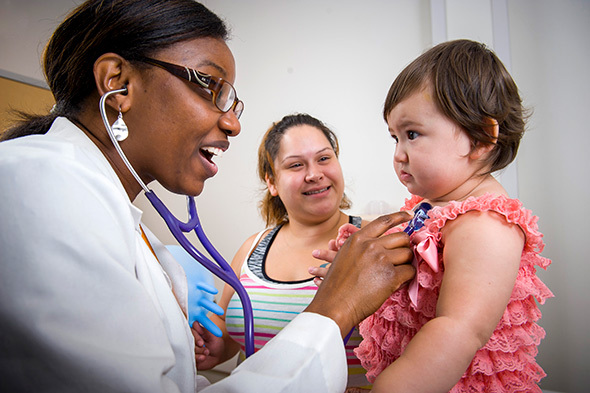 We created the nation’s largest pediatric primary care network, and we partner with local organizations at outreach events to increase the number of children and pregnant women with health care coverage. We also dedicate time and resources to lobby legislators in Austin and Washington and advocate on behalf of our patients and families. This isn’t politics – our aim is to keep CHIP and Medicaid funded for our families. The recent election demonstrated that health care matters to a lot of people. We must find ways to ease or eliminate existing political and administrative barriers for families to get proper health care coverage. While the Georgetown study heightens awareness about this disturbing trend, I am encouraged because I know Texas Children’s is working every day to make it better. This study just proves there’s still work to do, and children and families need Texas Children’s – all of us – continuing the fight for them. So keep paying attention. Keep voting. Keep talking about this. Together, we can help children’s health care in Texas and the rest of the country get back on track. Very well said and couldn’t agree more! Children across Texas (and the U.S.) deserve better. Thank you for keeping insurance needs for children and families in the forefront of your vision for Texas Children’s Hospital. As a rich nation, caring for others should be the norm. We at Texas Children’s can continue to lead by example, we might be leading with the most uninsured but not for long. As we step up and out to other regions of Texas it is just a matter of time. We are leading now with our actions, like the CHIP program, 20 years…Texas is a big state. I dare say we have insured more children than some states have children. Indeed, if we can send a man to the we can surely find a way to insure children. Amen! 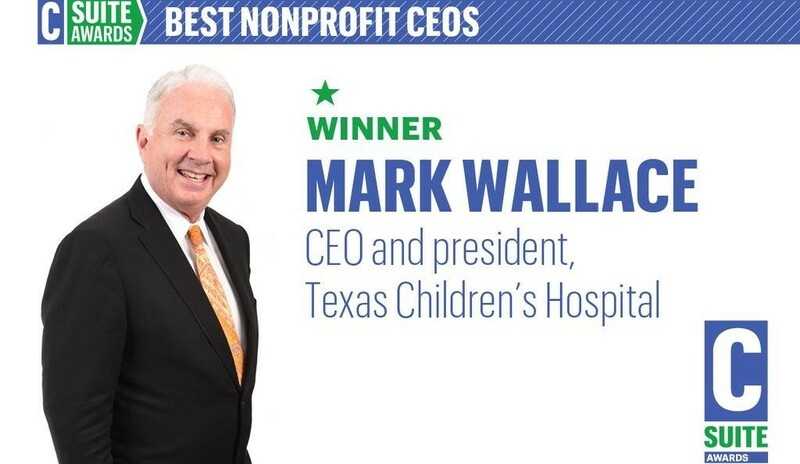 When I started at Texas Children’s Hospital, 20 years ago, Mark, we flew back and forth to Austin to educate our state legislature about the Children’s Health Insurance Program and why Texas needed to invest in children’s health care and coverage. At its peak, the program had close to 600,000 children and pregnant women from working families enrolled. We also encouraged Medicaid simplification – and policymakers changed the application and the eligibility process from 3 months of coverage to six – a step in the right direction. We must lead again – educating the next generation of lawmakers and citizens about the importance of access and coverage for ALL children. And why investing in children’s and maternal health care has a long-term ROI that’s better than anything on Wall Street – it’s our country’s future! This is why I love this organization! We don’t just talk a good game…we do the work! Thank you Mr. Wallace for always “Modeling the Way”! We have to remember how important it is to advocate for those in need. We must be the voice of the families we serve. Policy matters and has huge implications on the health of our communities. I am proud to work at Texas Children’s and to facilitate lasting change in Texas. I hope all of our staff continue to stay informed and vote in favor of access to quality care for children and women. Another way we can serve those in need, is by ensuring that we are always helpful to families in our system–to make sure we help them navigate their care and access–so that we are not another barrier to health. This really hits home. Recently my son had a fainting spell and I brought him into TCH to be seen. That single visit with routine test and IV came to over $3,000. Unfortunately our two sons are uninsured. My boys are fortunate enough to grow up in a two parent home but because of that and with both parents working we do not qualify for CHIPS. The other side of that coin is, we are unable to afford the high cost insurance. If we were a single parent and unemployed, everything would be covered. Please continue your work to make sure all children are insured, not just the poor or well to do. May our actions and prayers meet to bring well being and peace to the children in our communities! 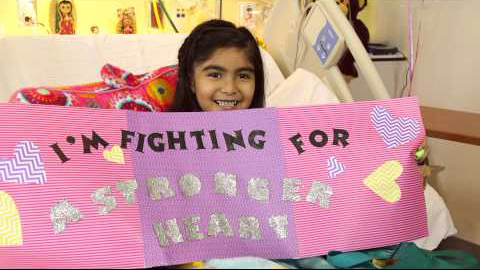 Our institution’s commitment to serve all children, regardless of ability to pay, is the very thing that drew me to Texas Children’s so many years ago and what continues to motivate me each and every day. Thank you for continuing to lead the way on this critical issue – and for empowering our workforce to talk about health insurance for all children and to advocate for better policies in our state and nation. Texas can do better. Texas must do better. And Texas Children’s is leading the way. Thank you Mr. Wallace for advocating for children’s health. Coming from a teaching background, it is an honor for me to continue to serve at risk children and to share your advocacy. Thank you, it is so important that we understand we ALL need each other. What Texas Children and you Mr. Wallace stand for makes me proud to work at TCH. I would love to be able to do more withing the company on the platform of helping our families, and communities. You have one of your very own who work in her community being the change she will like to see happen, me. Thank you for your leadership here at TCH and out in the greater community. It is so important to keep informed and to be an advocate for those that may not feel that they have a voice! I’m so proud to be part of the TCH family! As a chaplain, I often listen to families as they try to cope with the stresses to family finances, impossible choices and the bewildering world of insurance and access to health care that a health crisis brings with it. It adds to their feelings of overwhelm when their primary focus should be on the health of their child. I pray that every employee here commits to bringing all of TCH’s abundant resources to bear on helping families navigate the system and to ongoing advocacy for much needed health care reform. Please keep us advised throughout the year of policy discussion and legislative votes in the Texas and US legislature so that each of us can do our part to ensure that we keep advancing the issue. The issues are so complicated and intertwined that, even when working within a major health care system, employees need ongoing education. 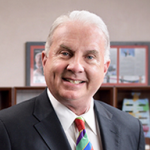 Thank you, Mr. Wallace, for your vision and leadership. Thank you for your tireless leadership! A family should not have to choose between putting food on their table, a roof over their head or the health of their child. I am glad to be a part of an organization that understands the true impact of our children’s health within our homes, organization and the community. I know together we can come up with a solution to ensure all children in our community can receive the best healthcare possible.